I’ve rounded up 20 incredible desserts from our favorite cruise lines. Food is one of the many reasons I love to travel, and cruising is one of my favorite ways to see the world. Whether I’m on a large ship sailing to the Bahamas, on a schooner off the coast of Maine, or on a River Cruise down the Rhine, I love every part of it. The gentle rocking of the boat, the way the staff spoils me, the exciting ports, the learning experiences, I just love it all! However, the star of a cruise for many people is the food. Let’s face it; everyone loves to eat, and when you are on a cruise, you can try so many different types of food. While the entire meal is important, desserts are where cruises shine the brightest. After all, you’re on vacation, so points, diets, self-made restrictions, and all that jazz, they go out the porthole. 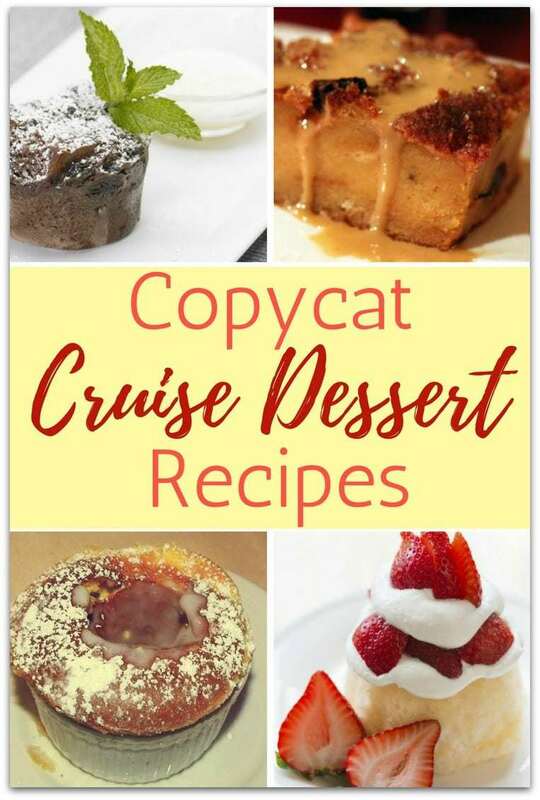 Because people love the many different desserts you can find on cruises, copycat cruise dessert recipes are very popular. It’s nice to bring some of those flavors home! 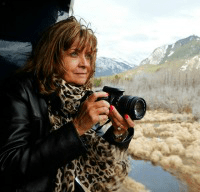 I personally feel like travel is one of the most important things you can do for yourself and your kids, but I understand it can be a struggle for some families financially. 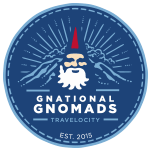 I suggest checking out a few of the cruises to places you’d like to go and start planning. Open a savings account just for travel. Commit to putting just a little away on a regular basis, and you will be seeing (and tasting!) those dreamed of destinations before you know it. For now, enjoy these recipes from some of our favorite cruise lines. Looking for something other than dessert? Try this Watermelon Jicama Salsa from Carnival Cruise Line!